Podgorica, (MINA) – No one can work against the law and the envisaged procedures, not even the church, said Prime Minister Dusko Markovic. 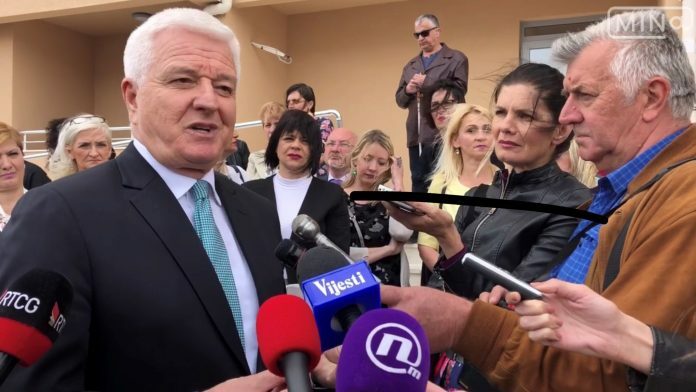 Asked by the press following the ceremony of presenting the apartment keys to the healthcare workers, if and when the church in Rumija and the baptistery in Tivat would be taken down, he said that the laws and the constitution are equal for all. Markovic said that no one in the county, not even the church, can work against the law and the envisaged procedures. Asked why the government awarded apartments with favorable rates to public officials, Markovic responded that it is the part of a negative campaign against the government’s activities and policies. “Those public officials are the public administration employees, where they are tasked with very responsible duties and have the right to have their housing issue resolved”, said Markovic, adding that, during his term, only 20 officials were granted loans with favorable rates. “Don’t forget that in the last two years more than 185 police officers and 180 health workers were granted apartment under favorable rates. Today 97 health care employees receives apartments under favorable rates”, he added and said that those are the topics the media should be covering.